Opposites always attract, I really love the contrast of opposing style. 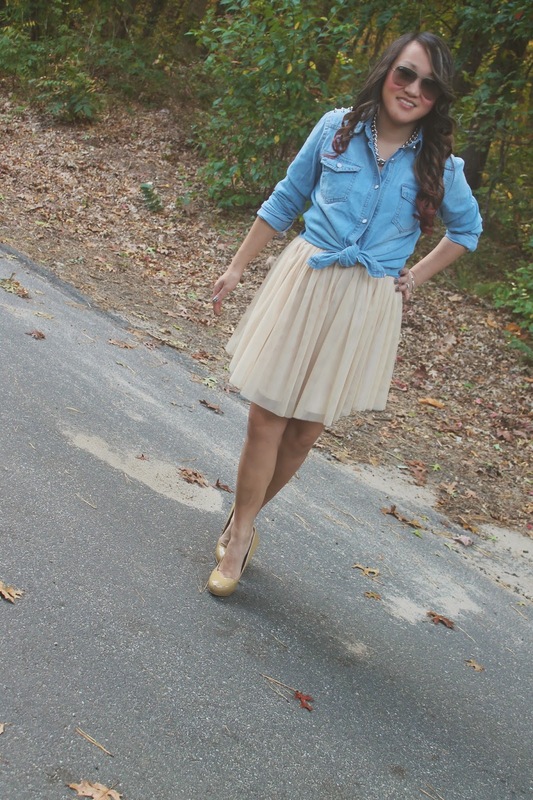 In this case I used the tulle style skirt, simply folded from this dress (here) and paired it with a studded chambray top. Its a simple look with a that I could easily wear with flat boots to dress it down a touch. 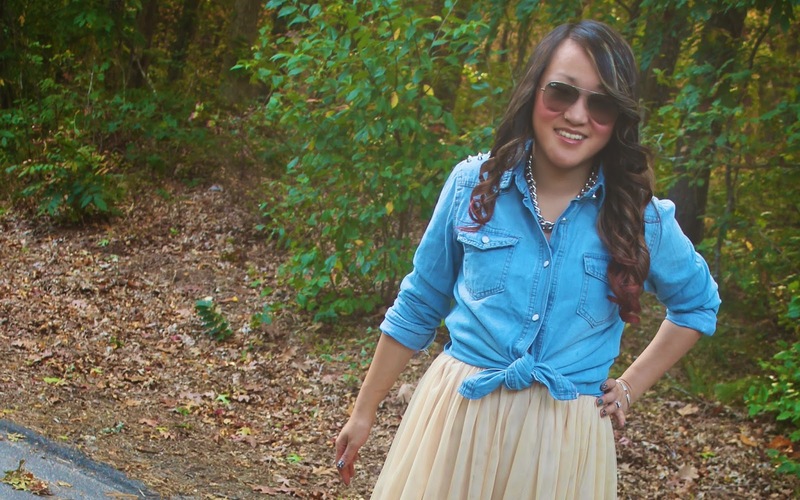 The really girlie, ultrafem style skirt and grunge style denim is a great balance. I also, love the idea of reinventing a dress into a skirt for extra versatility. It really worked great with this particular piece and I can't wait to see what else I can do with it in the spring. If you like this chambray, you should check out Mavy Savvy and their unique collection. This top was one of the great items I received! 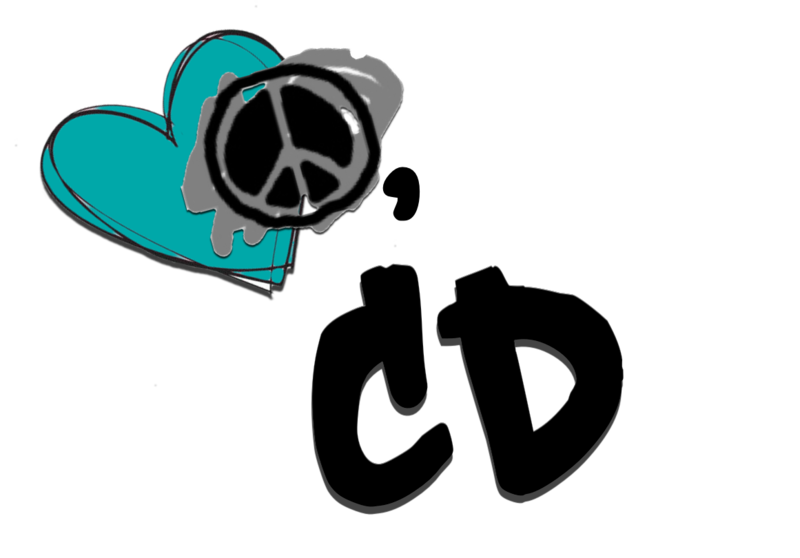 Enter my contest (here) to receive discounts on their fab pieces. How pretty! I just love that skirt. It looks amazing. Stunning pictures and outfit inspo ! You look amazing! I love your skirt! Thank-you, Kristina! I will definitely check out your blog! What a beautiful outfit! 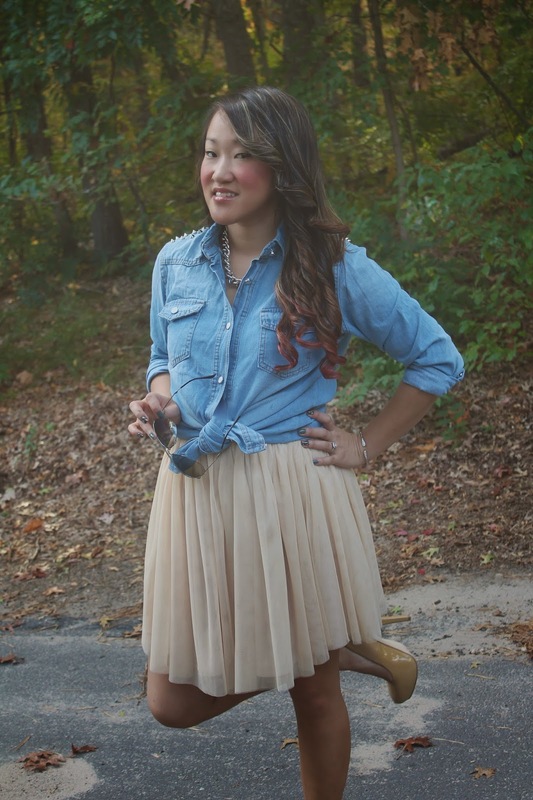 I love this chambray blouse tied and the skirt is so feminine and ladylike. Perfect! Great outfit! Relaxed but classy! LOVE that colour combination! You look stunning!